This year I'm making a conscious decision to buy makeup from cruelty free brands and filter out any products in my collection that have been tested on animals. Animal testing is something I've always felt strongly against, however I've been quite hypocritical in that I still own cosmetics from some of the industry's biggest offenders. In 2016 this is going to change and I'm going to start replacing my old makeup with new offerings from cruelty free brands. Below you'll find a few I've discovered, feel free to send over any more you know of for me to consider! Lily Lolo is a makeup brand I’ve heard so many good things about but I’m yet to fully explore their products myself. Launched back in 2005, Lily Lolo was created to provide women with high quality mineral makeup, free from Parabens, synthetic perfumes and dyes. The brand is BUAV approved, giving you the peace of mind that they do not conduct any animal testing nor do they pay companies to test on their behalf. What also appeals to me about Lily Lolo is that it’s a British brand. Their products look beautifully designed and I can’t wait to see what they have to offer. Bagsy isn't a brand I know much about, however I've seen their products on a couple of other beauty blogs and think they look so beautiful. The stylish, yet compact packaging alone is enough to make me want to place an order but the fact they do not test their products on animals gets them the biggest thumbs up from me. Oh and even better, Bagsy is another British brand! NYX has been doing the rounds on beauty blogs for a good while now but I've only just got round to trying my first product. I decided to go for one of the Soft Matte Lip Creams (review coming soon) as I'd heard so many good things about them. Needless to say, I'll definitely be trying out more products from NYX this year. And yes, NYX is another cruelty free brand whoop whoop! TheBalm is another bloggers' favourite and maker of the oh-so-gorgeous Mary Lou Manizer (my favourite highlighter). This year I'm keen to try out some of TheBalm's other products. Their eyeshadow palettes have really caught my eye with their cheeky designs! Speaking of cheek, I've also read some great reviews of TheBalm's blushers, so I think I'll be popping one on my list to buy soon! 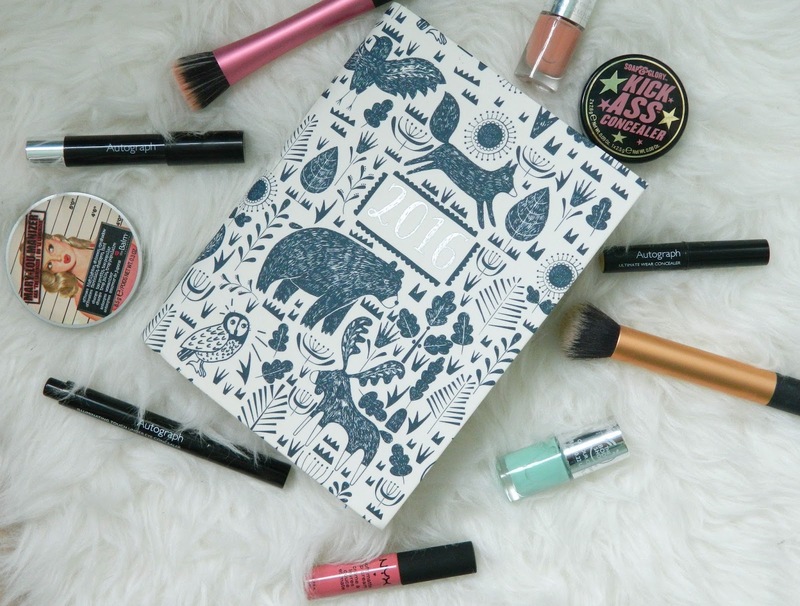 Are there any particular makeup brands you're hoping to try in 2016?